IPL laser hair removal is the best choice for long lasting hair removal today. If you're tired of shaving, waxing, and other messy or inconvenient methods of hair removal, IPL laser hair removal may be perfect for you. 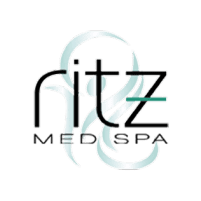 Contact the team at Ritz Med Spa in Franklin, Tennessee, to learn more about this amazing and effective path to the smooth and beautiful skin you've always wanted to have. How is IPL Laser Hair Removal Different From Standard Laser Hair Removal? With traditional laser hair removal, a single focused light beam is used to target hair follicles. With IPL laser hair removal, a broad spectrum of light wavelengths are used to target the pigment in the hair follicles. IPL laser hair removal is gentler to the skin and many patients say that it's more comfortable. What are the Benefits of IPL Laser Hair Removal? There are several advantages that you'll gain with IPL laser hair removal. The biggest advantage for many patients is the convenience. You'll save a lot of time and trouble by having IPL laser hair removal. IPL laser hair removal allows you to get hair removed permanently. You can greet each day with confidence, never again worrying about whether you remembered to shave today. Though IPL laser hair removal might be more costly in the short term, in the long term you can save a lot of money. You won't have to constantly buy razors, shaving creams, waxes, or any other hair removal products again if you have laser hair removal. How Long Does IPL Laser Hair Removal Last? The majority of patients get almost complete hair reduction permanently. Even if you do get some minor hair regrowth, that hair is going to be considerably lighter, thinner, and finer than it ever was in the past. Once your initial treatment sessions are complete, you may need to come back once or twice a year for minor touch-ups to maintain completely smooth skin. How Many IPL Laser Hair Removal Sessions are Needed? To get the very best results, you'll need to plan for up to 12 treatment sessions. Each session will be scheduled at least a month apart, as this allows for new hair growth to come in. How Long Does IPL Laser Hair Removal Take? This varies based on the number of treatment areas and the size of each treatment area. Sessions generally take less than half an hour.